Churches across the world are celebrating one of the most significant weeks on the Christian calendar, which serves as the corner stone of the Christian faith, known as the Passion Week. Coupled with this week-long celebration, many churches and clergies from across the nation descended to Chatsworth for the “Jesus for Africa” crusade led by senior pastor of the Christian Revival Centre, Dr Paul Lutchman. The big white tent has been erected at the Chatsworth Circus sight and hosts nightly meetings from 7pm from until 18 April. 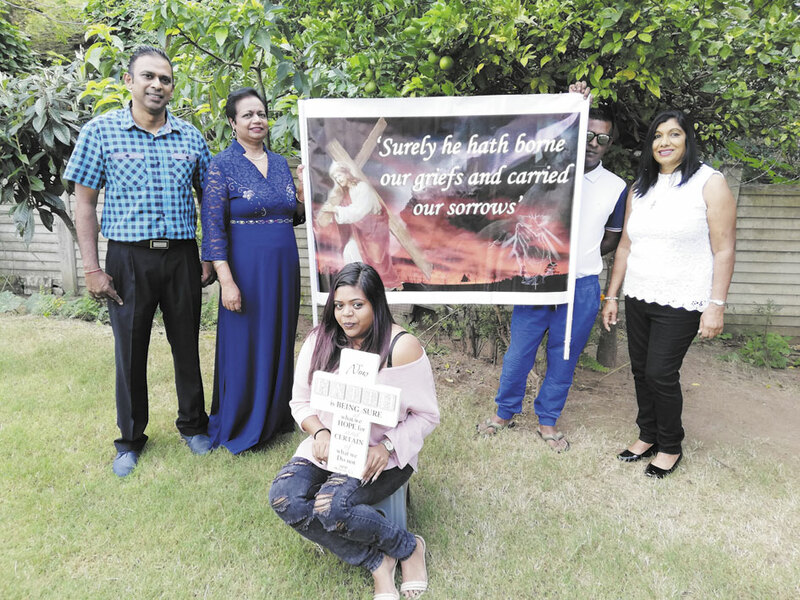 The week-long celebration ends on Good Friday, with a Passion march proceeding from various starting points including CRC Church at 8 Crossmoor Drive, Shekinah Temple on Road 747, corner of Unit 3A Rank Avenue and Westcliff Drive opposite Dr. Ashley Hammonds surgery. Residents will take to the streets to proclaim the Good News with banners and posters. Songs and dance will emanate from the processions as the march will be led by drum majorettes and bugle bands followed by thousands of attendees. The march, which is in its sixth year, starts at 2pm and will culminate with a meal at 4pm at the site. Lutchman said that the purpose of the march was to create Easter awareness and it is an event orchestrated to bring the community together in commemoration of the greatest love story ever told of why Jesus gave his life.